If you’re excited by the idea of working with Artificial Intelligence (AI) and feel strongly about using it to help people, Philips may just be the right place for your next career step. Here, we call AI Adaptive Intelligence, because we believe that that the healthcare providers, patients, and consumers should be at the forefront of technology, and that it should adapt to their needs. It means putting people at the heart of our technology. It’s a concept that’s uniquely Philips. Our recent work in adaptive intelligence is proving to be meaningful for everyone across the health continuum, and it’s already playing a crucial role in the lives of patients and medical professionals alike. People who were once tasked with tracking and managing daily, chronic symptoms alone are now empowered to better manage their own health. Innovations in this area give them a way to gather and synthesize meaningful health patterns and relevant information, supporting them through solutions that are seamlessly embedded into their environment. Consider Philips CareSage, a predictive analytics technology that helps prevent avoidable hospital admissions and emergency room visits among the frail and elderly. It combines data from different sources, including home medical alert systems and electronic medical records. Based on this data, Philips CareSage identifies when an individual needs assistance, and evaluates if this person is at risk for emergency transport in the upcoming 30 days. This helps reduce risk, save unnecessary costs, and support the frail and elderly in living independently. We’ve also created DreamMapper, an app that allows people with sleep apnea to track their therapy progress. Sleep apnea is a complex sleep disorder that occurs when a person’s upper airway becomes blocked or isn’t signaled by their brain to open and allow for normal breathing. “It makes you sleepy and there’s cardiovascular data suggesting that hypertension, diabetes, strokes, and heart attacks are more common in patients with Sleep Apnea,” says Dr. David White, a Philips Doctor. It’s not only serious, it can be especially frustrating for both the person with it and the bed partner, as it impacts everyone’s quality of sleep. DreamMapper enables patients with sleep apnea to take an active role in their therapy. It is designed to quickly correlate data on therapy usage, mask fit, and apnoea hypopnea index (AHI) readings to help improve treatment success, as well as help users set and achieve personal therapy goals. Healthcare providers, who often have too much data and too little time, can now benefit from tools that help them make sense of the data quicker. Through adaptive intelligence, they’re able to provide insights that may not be visible to the human eye, enabling first-time right diagnosis and personalized treatment, with better patient outcomes. It also makes workflows in hospitals more efficient and helps medical professionals to identify patient deterioration quicker in acute care. In partnership with radiologists, we’ve created Philips Illumeo, an imaging and informatics technology. It uses adaptive intelligence to pull data from various hospital sources to present a holistic view of the patient and provide diagnostic tools which adapt to physician needs, offering added insights and optimizing their workflow based on their own preferences to enhance clinician confidence for every patient. 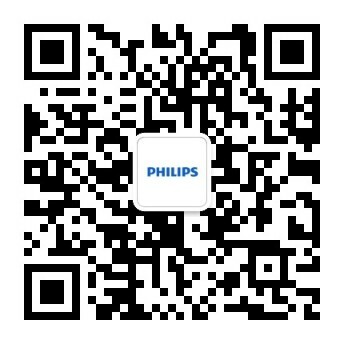 We’ve also developed Philips HeartModelA.I. and other ultrasound solutions using anatomical intelligence. Looking at a patient’s ultrasound data, it applies adaptive system intelligence using 3D anatomical models to create easier and more replicable results. This reduces exam time and improves reproducibility, which helps enhance diagnostic confidence. I want advice about what to do, and I want that advice to be tailored to my unique personality and circumstances. There is a need for AI in healthcare, and healthcare systems around the world currently face a difficult set of challenges. Our population continues to grow and age, healthcare costs are escalating, and we’re headed towards a global deficit of skilled heath professionals. Against the background of these challenges, healthcare is undergoing a rapid digitalization. The opportunities for AI across the health continuum lie in its potential to help translate large amounts of data into actionable insights that empower clinicians, hospital administrators, patients and health consumers to achieve better, more affordable health outcomes. It’s clear that AI will play an even bigger, more pivotal role in the way in which we engage with healthcare moving forward. As it does, we will continue to focus on people and their needs in this blossoming space. It’s at the very core of who we are as a company, and it’s what motivates our teammates and us. Eager to develop brand-new technology that can play a meaningful role in lives across the globe? So are we. Don’t just change jobs – change people’s lives, including your own.